Absolutely love my choker! Very nice! I purchased this as a gift for my daughter who is in her Senior year of college and facing many decisions regarding her future. 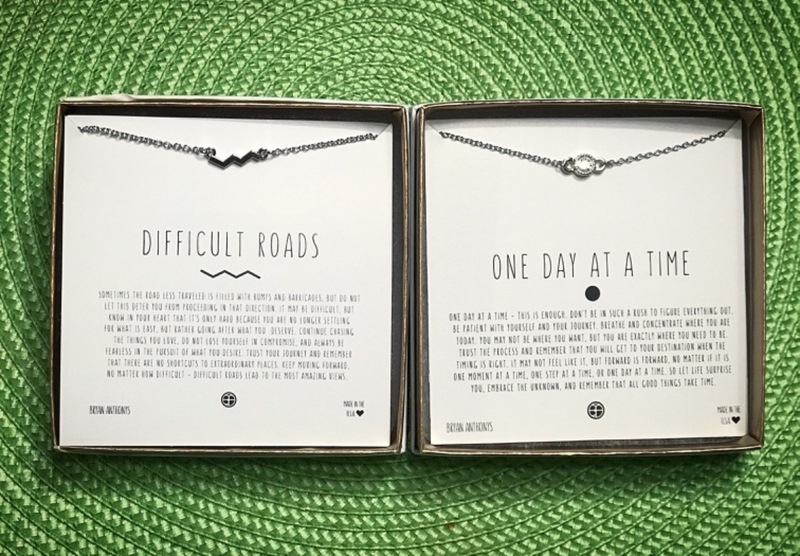 The One Day at a Time necklace inscription was just perfect for this season of life. The necklace cane beautifully packaged. It was just perfect! This is going to be a Christmas gift for my daughter and upon receiving it and looking at it, I know she is going to love it!